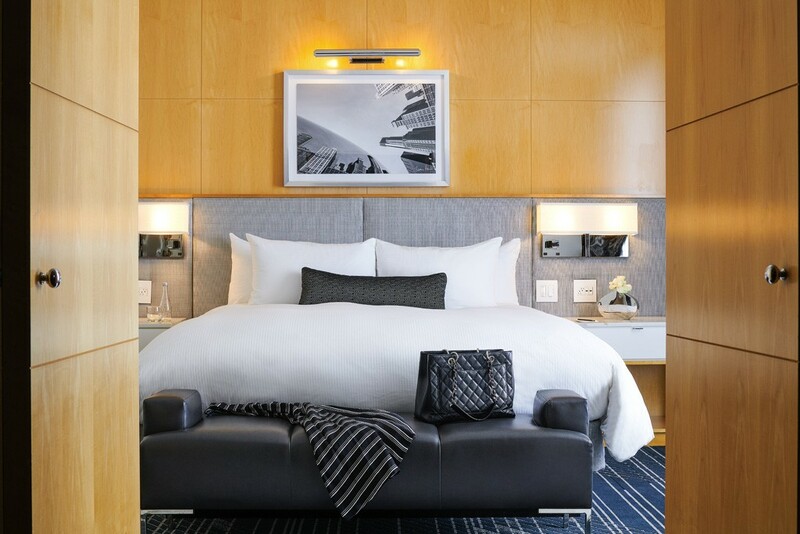 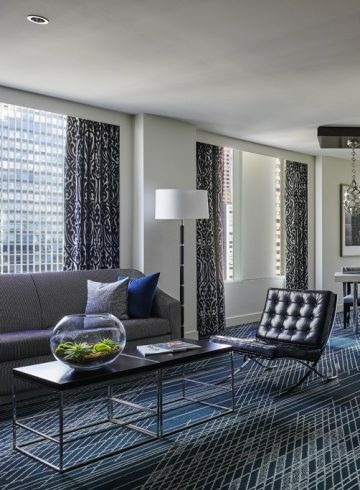 The stylishly and fully renovated Junior Suites offer the essence of 4-star luxury in the heart of Chicago’s Gold Coast. 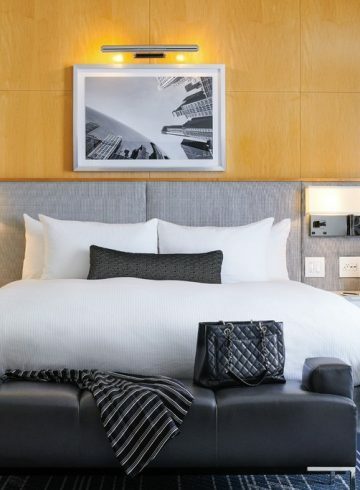 Spacious and elegant, Junior Suites match the sleek character of the hotel with a few unique flourishes all their own. 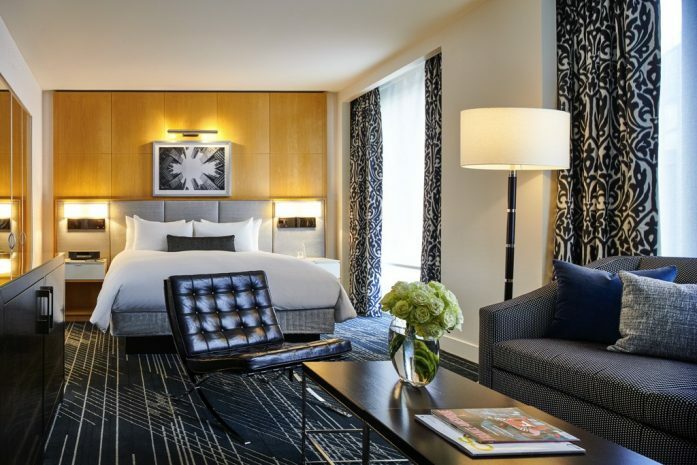 Each residence-style hotel suite is artfully appointed with furniture custom designed by Pierre-Yves Rochon, plush textures, and soothing color palettes. 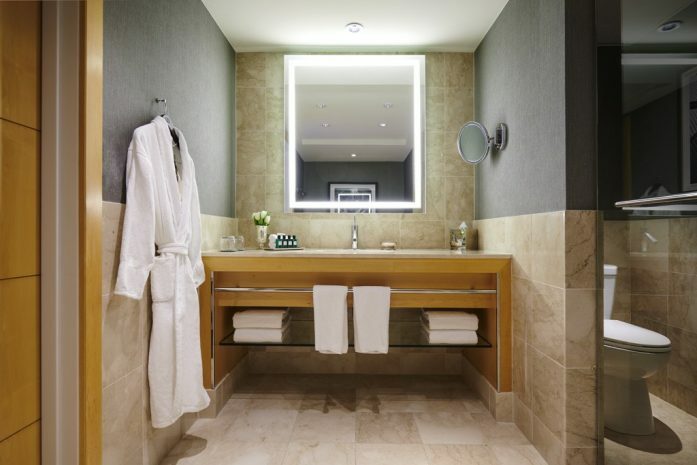 Exquisite spa-style bathrooms feature deep-soaking tubs and luxury French bath amenities. 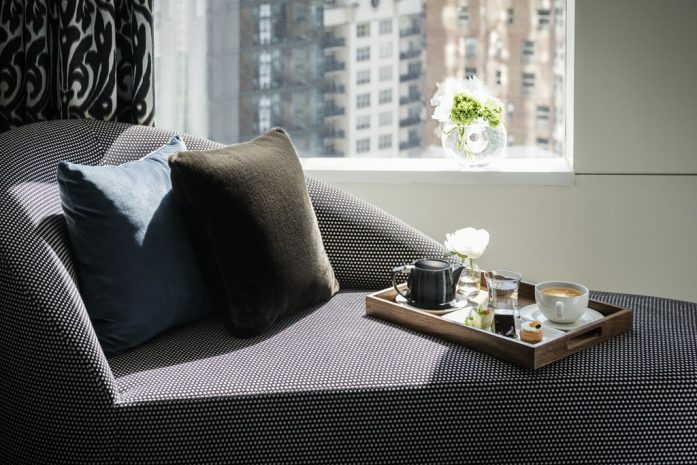 Just beyond the wall of windows, enticing views of downtown Chicago invite you to explore the Windy City.